This unassuming stall is run by a chef that used to work with Din Tai Feng, a Taiwanese chain restaurant. 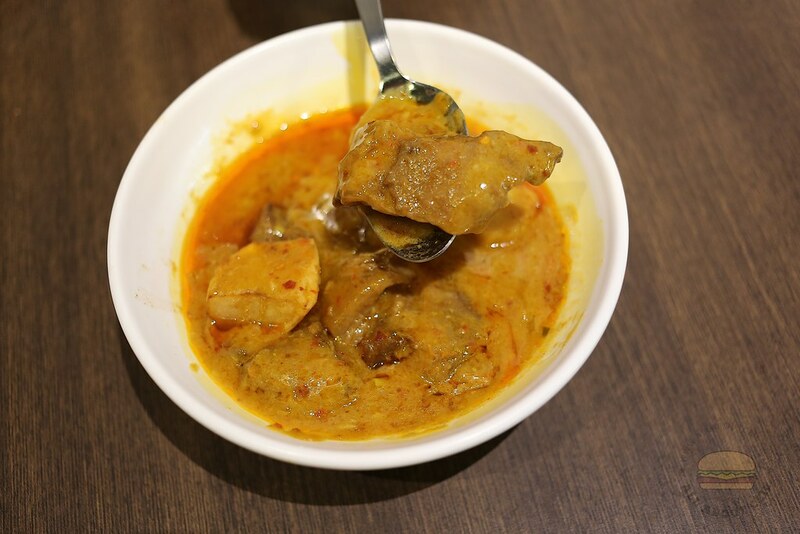 It is located in a coffee shop within walking distance from Bedok MRT station. The queue was unexpectedly long on a Sunday during lunch but I still joined in the queue nonetheless and waited for about 40 minutes before ordering. 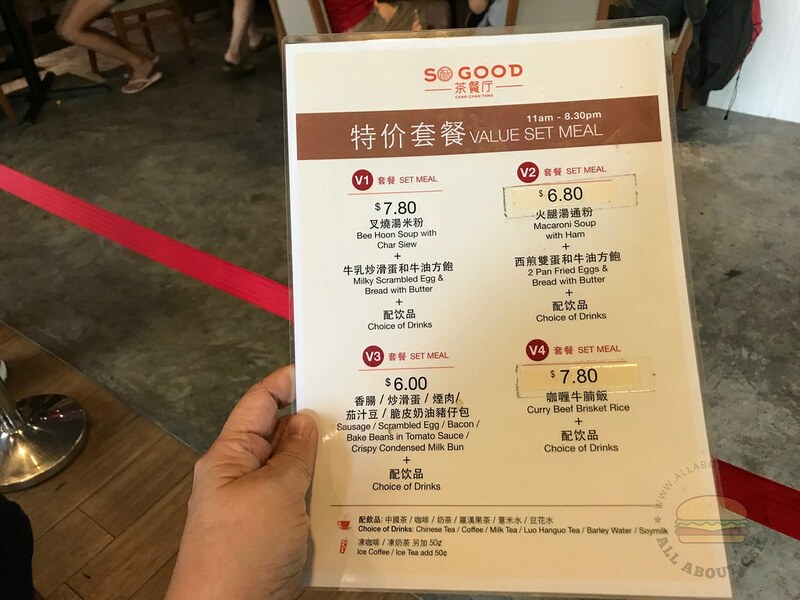 The signature Pork Chop Fried Rice of Din Tai Feng is also available right here at just $6, much cheaper and they named it Pork Ribs Fried Rice instead and it is a must-order right here. 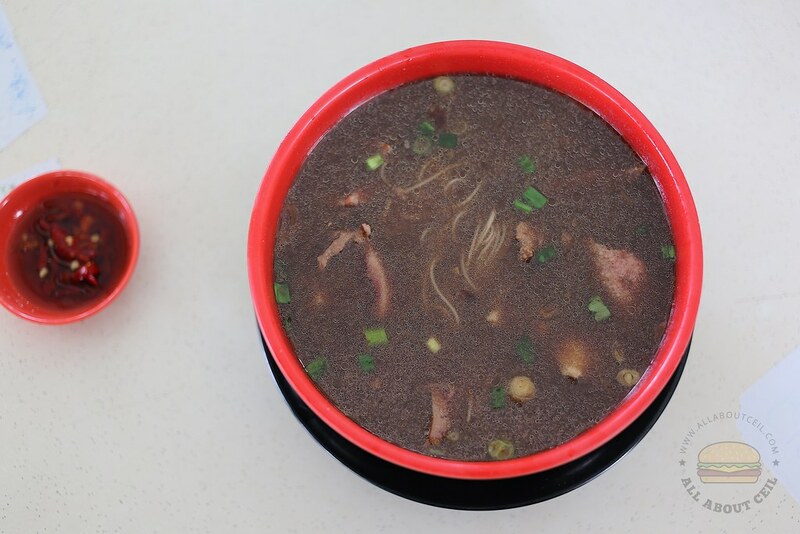 I also ordered the Dan Dan Noodle ($4.50) and Fried Dumplings ($5 for 10 pieces). The items under the Fried Noodle were not available on that day. I was given a buzzer and waited for about 15 minutes before the Fried Dumplings were ready. I went back a few minutes later to collect the Pork Ribs Fried Rice and the extra portion of Pork Ribs, waited another few minutes for the Dan Dan Noodle. 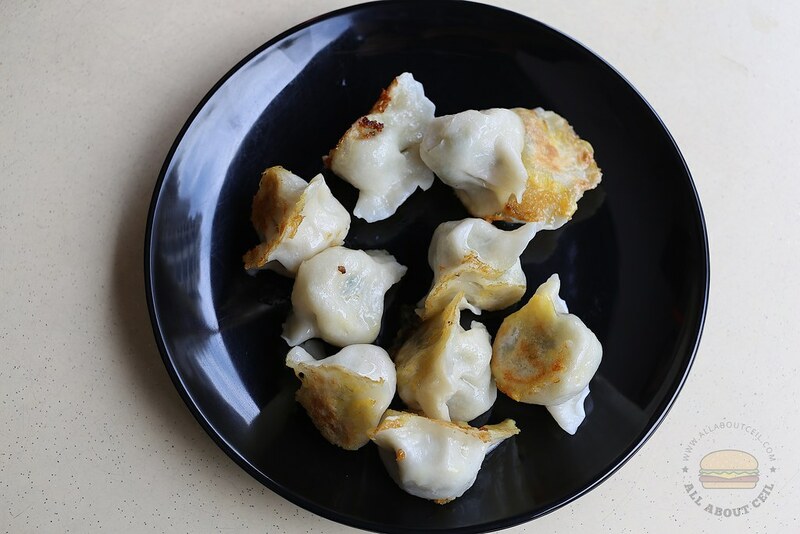 The Fried Dumplings is not on their menu. I tried looking for it initially but did not find it there. It was featured in a poster on the counter though. Those fried dumplings were quite tasty. 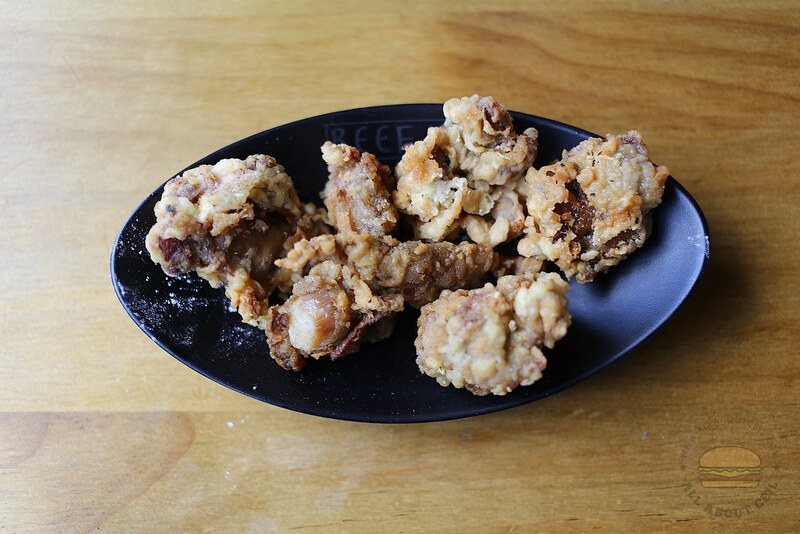 The Pork Ribs Fried Rice looks identical to that of Din Tai Feng. My dining companion had a mouthful and said, "They are using the short grain rice, a slightly more expensive choice." The short grain rice is also known as Pearl Rice, its texture is more starchy. He said, "The fried rice is very good, it has a noticeable eggy taste. The pork chop is not as flavorful though there was a hint of black pepper. Maybe the long queue affected its standard? 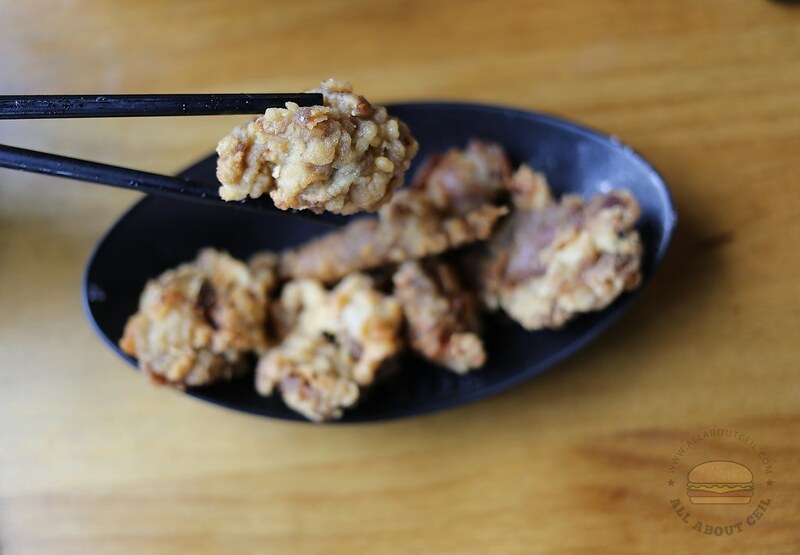 The texture is soft and tender though." 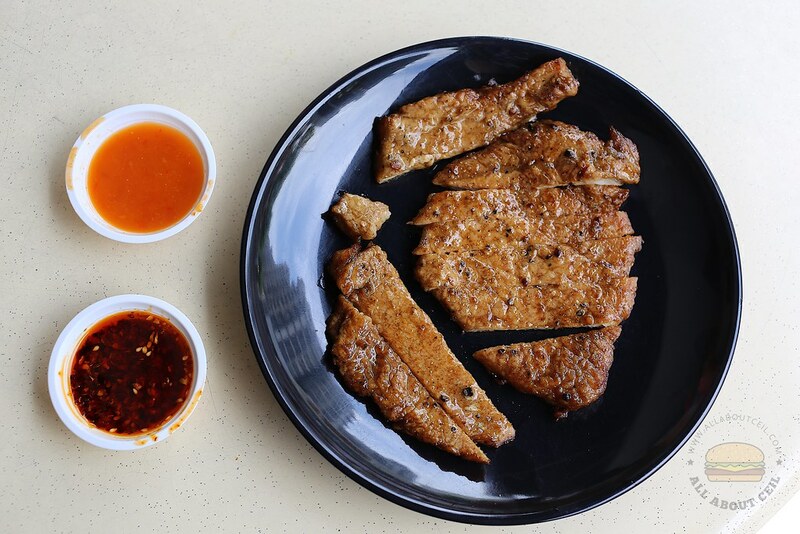 The pork chop is slightly thinner and lesser egg is used to cook the dish but still rather good value in comparison. I ordered an extra portion of Pork Chop at $4. 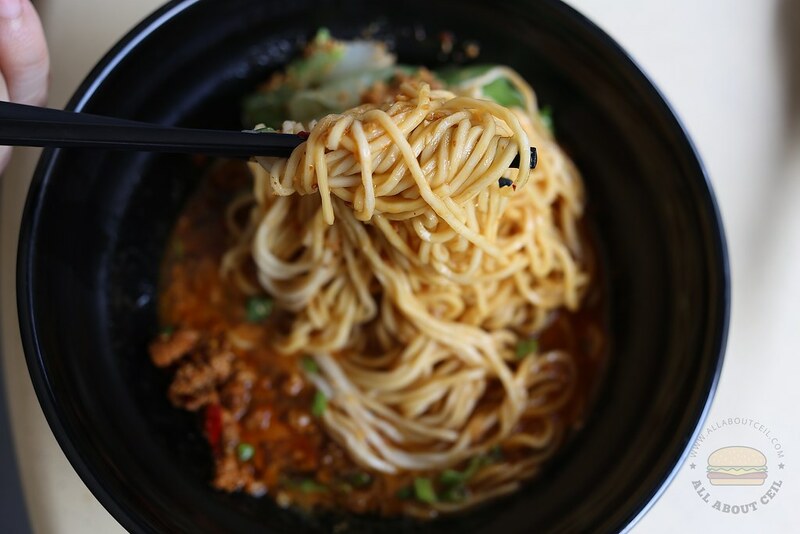 The Dan Dan Noodle (担担面) is their signature dish. 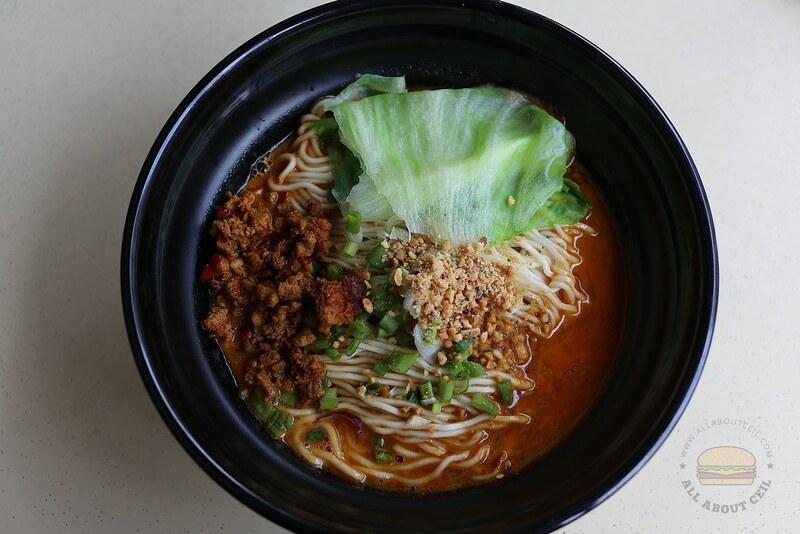 The handmade noodles served with braised minced meat garnished with grounded peanuts, chopped spring onions, and lettuce. Though the color of the soup was fiery red, it did not taste too spicy, there was a slight sourish though. My dining companion that has little tolerance to spicy foods took a mouthful too. The noodles were cooked just right, though soft but still retained its chewiness. I would likely be back to try the other dishes only if the queue is shorter. 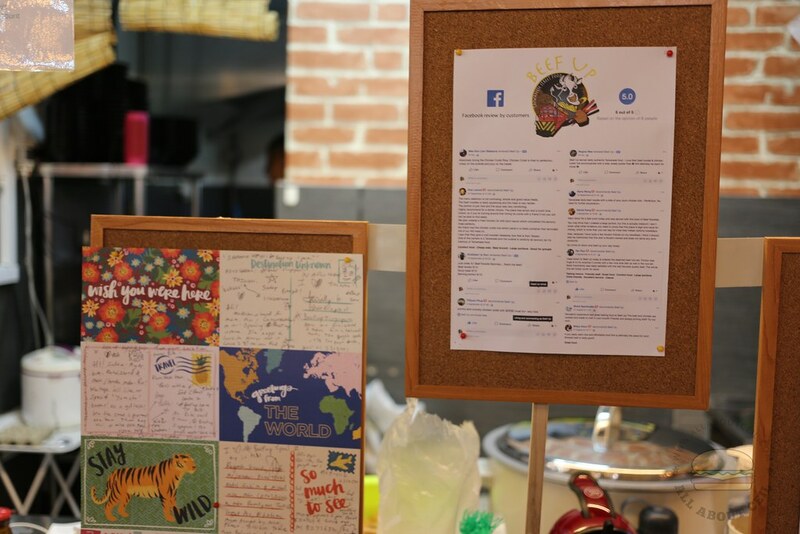 The owner is from Kelantan, Malaysia and he acquired the skills from Mujur Catering, a famous caterer there before setting up his stall at Jurong East in November 2017 and moving to Woodlands in June 2018. 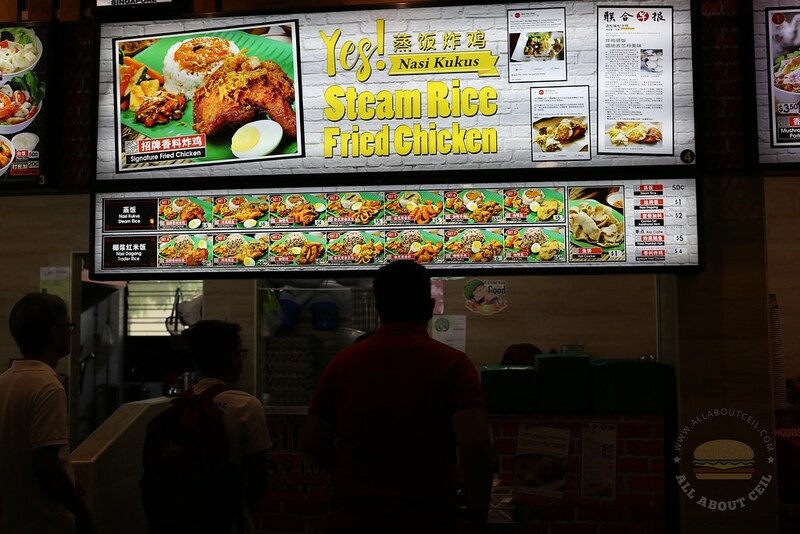 The stall is known for serving Nasi Kukus, it is steamed rice that is done traditionally in individual aluminum cups and cooked in a metal steamer to supposedly achieve a fluffier and softer texture. 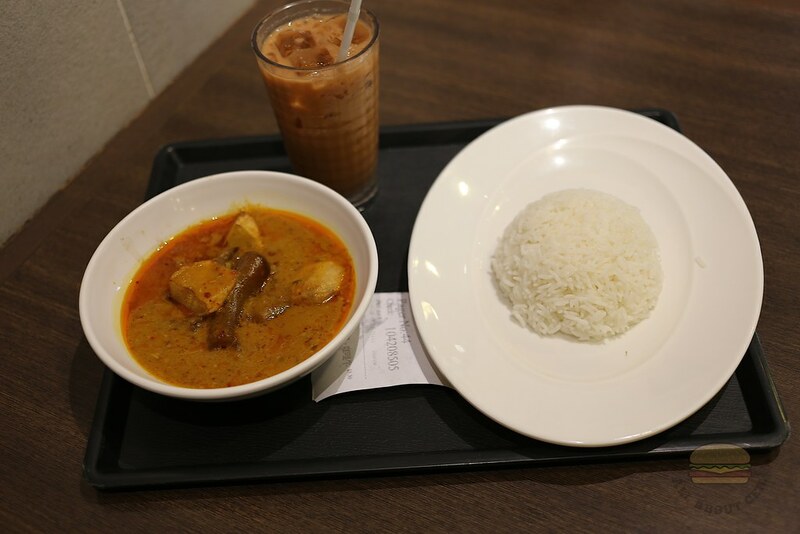 Nasi Dagang, a mixture of normal and red rice that is cooked in coconut milk is also available. There was a queue when we were there on a Sunday for lunch. 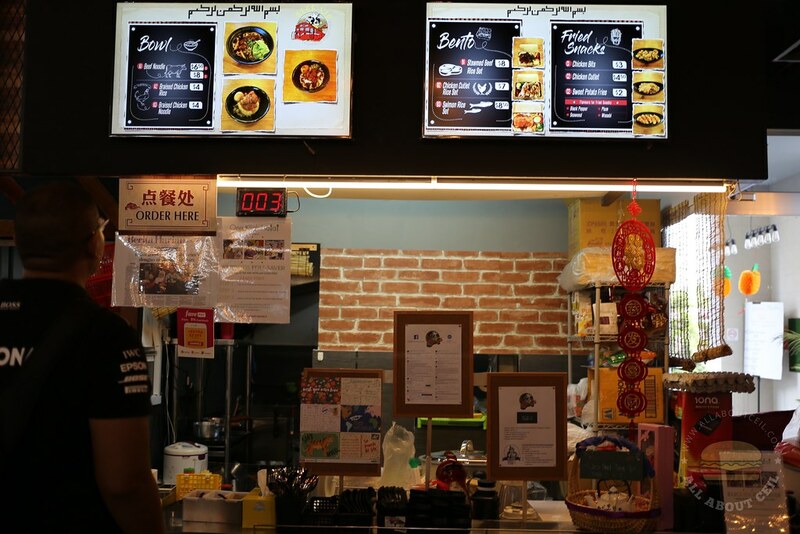 They are located in a coffee shop that is a distance from Woodlands MRT. Nasi Kukus though not as common but it is not exactly something new. 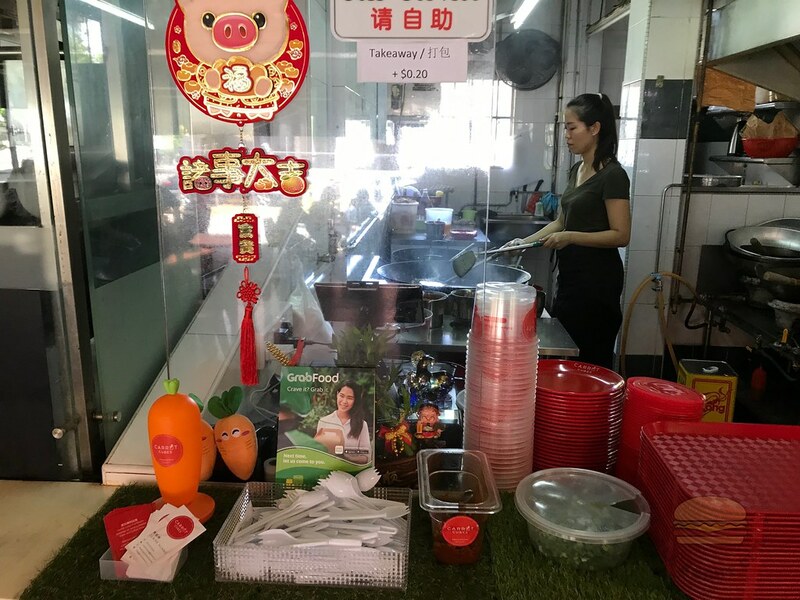 There was a Nasi Lemak Kukus that started in a shop along Upper Thomson Road before moving to Selegie followed by Toa Payoh, it was closed for good in December 2018. Nasi Kukus with Signature Fried Chicken ($5) is listed as Set 1 on their menu, it is likely to be the most popular item as most of their customers ordered it so we ordered too. My dining companion said, "Maybe we should order another set with Nasi Dagang but he changed his mind later as almost everyone in the queue wanted it with Nasi Kukus. Nasi Dagang is available at an extra $0.50. I wanted to order set 2, Nasi Kukus with Fried Pomfret Fish ($6) but was told it is not available. 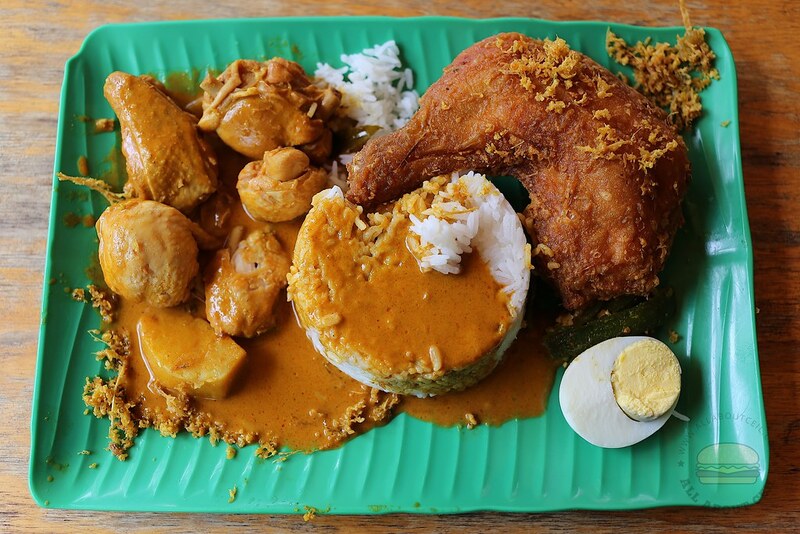 I went with set 2, Nasi Kukus with Curry Chicken ($4) and added an extra piece of Fried Chicken ($4). The sets came with half of a boiled egg and a portion of achar. The rice was slightly disappointing. My dining companion said, "It did not taste as nice as the one from Nasi Lemak Kukus. It is actually just plain steamed rice that did not taste much different. 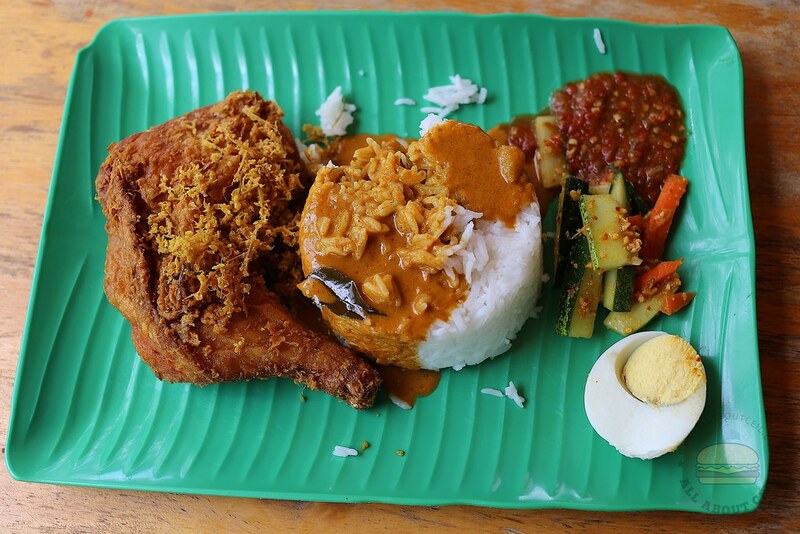 Maybe, Nasi Dagang might be a better choice after all." We agreed that the Fried Chicken tasted nice. It was fried well to perfect crispiness but still retained its juiciness with the flavors of fennel seeds and turmeric. The level of spiciness of the chilli was rather manageable. The Curry Chicken tasted just fine, the texture of the chicken was noticeably soft. My dining companion also said, "This coffee shop is so out of the way. I would not actually come all the way here just to eat this." 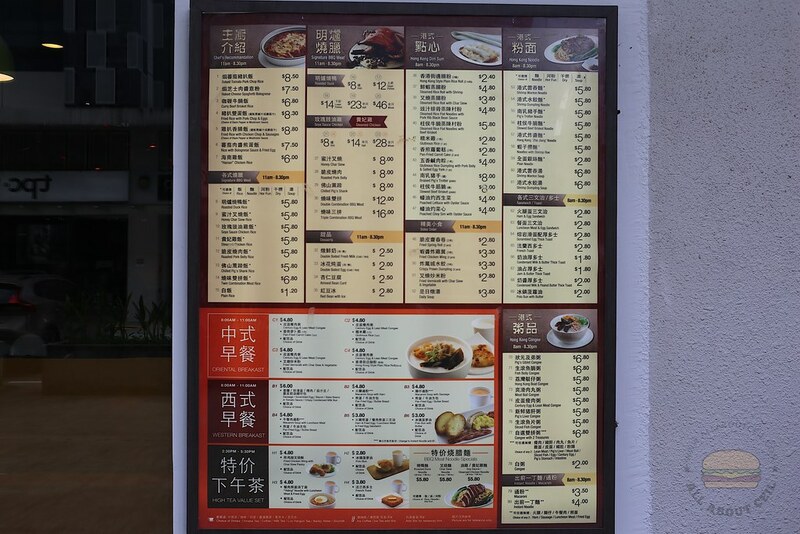 This newly opened Hong Kong style cafe, known as "Cha Chan Teng", literally meaning tea restaurant is located in Midview City at the industrial area of Sin Ming Lane. It was unexpectedly crowded when I visited on a Sunday during lunch. They also have bakeries at Asia Square Tower 1 in Marina View and 100AM at Tras Street. The noise resulting from the vibrancy has reminded me of those eateries in Hong Kong. Most of the tables were taken up at that time but we still managed to find a table for 2 right at the corner. I proceeded to order at the counter, there was a queue at that time but it did not take too long before I placed my order. There are a few value set meals priced at $7.80 that are available for selection. I decided to go with Curry Beef Brisket Rice and pay an extra $0.50 to go with the cold Milk Tea. I also ordered a Baked Tomato Pork Chop Rice ($8.50). 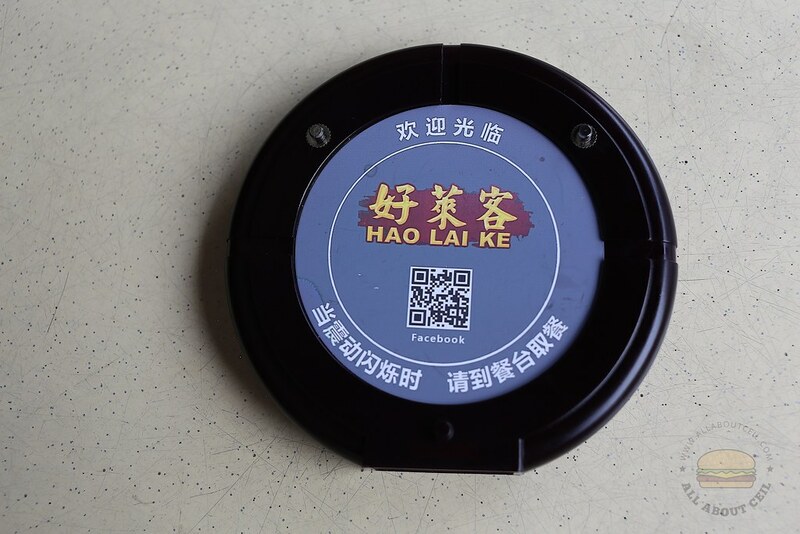 I was given a buzzer after ordering, it buzzed in a few minutes and the Curry Beef Brisket Rice set was ready. I waited for another few minutes before collecting the Baked Tomato Beef Pork Chop Rice. I have very little expectation of the cold Milk Tea. I am not expecting it to taste as good as what I had at Shui Kee Coffee that tucked away in a cooked food centre at Sheung Wan in Hong Kong. 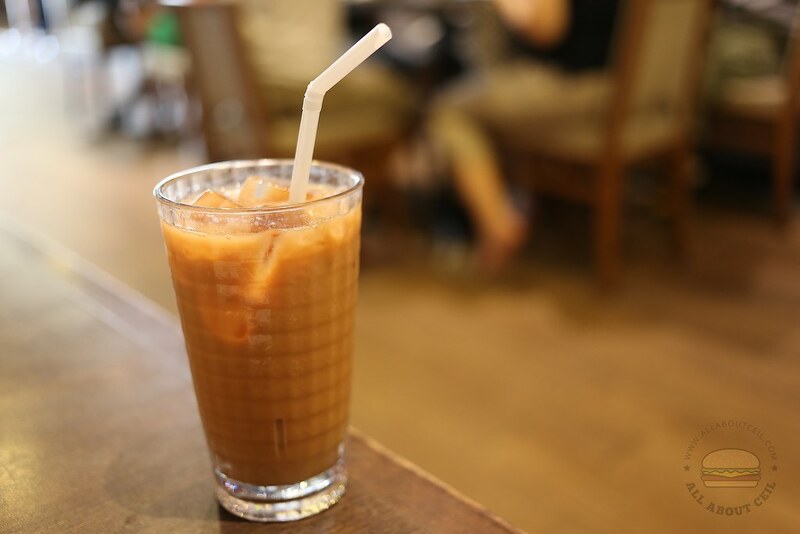 It is also not even close to the milk tea from Lan Fong Yuan at Central, Hong Kong. Somehow, it tasted not too far off from those canned milk tea marketed under Lan Fong Yuan that are available in 7-Eleven here. When having the Curry Beef Brisket Rice, my dining companion said, "The curry is a little too diluted." 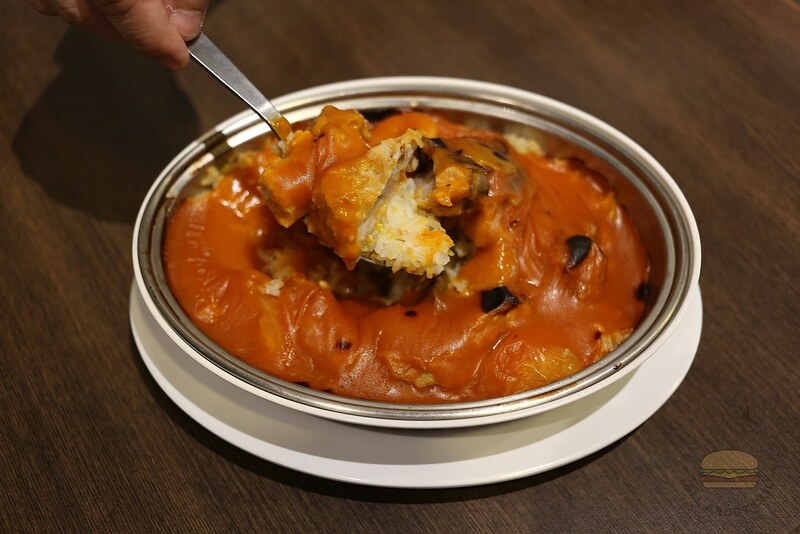 It tasted much inferior if I am going to compare it to the same dish by the popular Kau Kee Restaurant in Hong Kong. 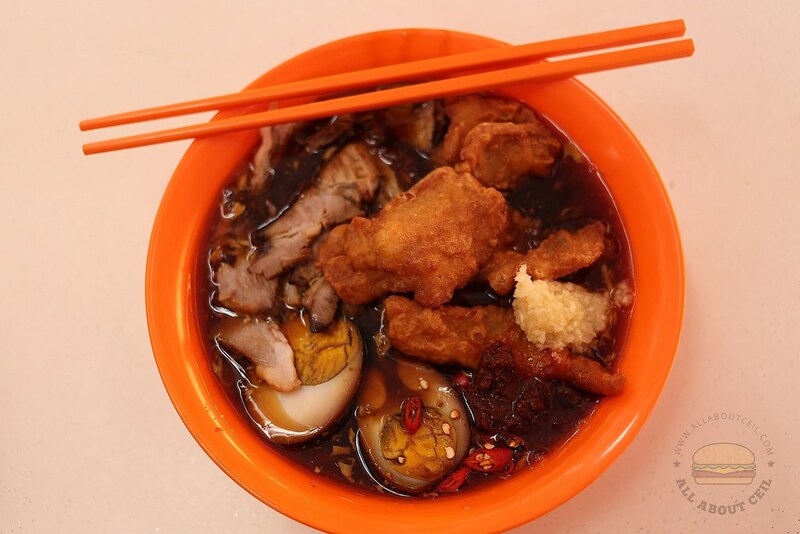 Somehow, it is still passable as this dish is not so commonly available in Singapore so not much comparison. 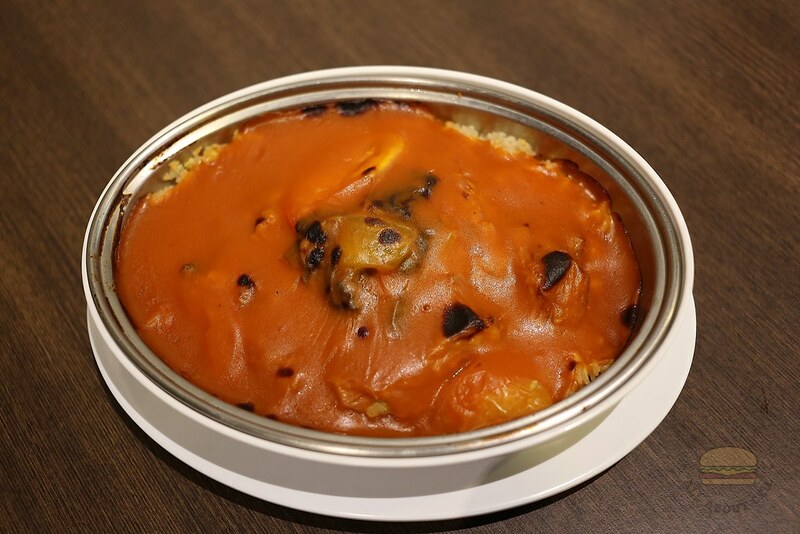 My dining companion tried the Baked Tomato Pork Curry Rice and he said, "This is not too bad, it somewhat reminded me of the Baked Pork Chop Rice that I had in Hong Kong Disneyland." I tried the same dish at Mido Cafe in Hong Kong, a signature dish in that decades-old cafe and it tasted much better. 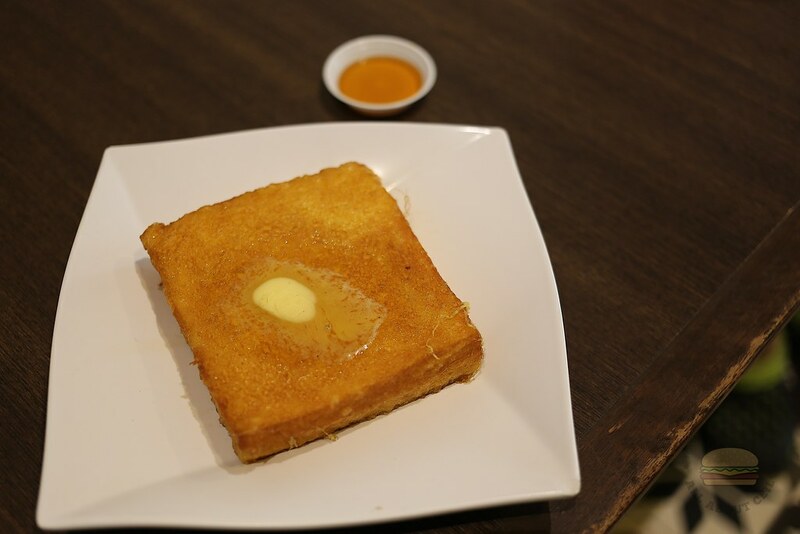 I went back to order French Toast ($2.80) and Red Bean Ice ($2.80). The Red Bean Ice was alright, reminded me of what I had at Mido Cafe in Hong Kong. 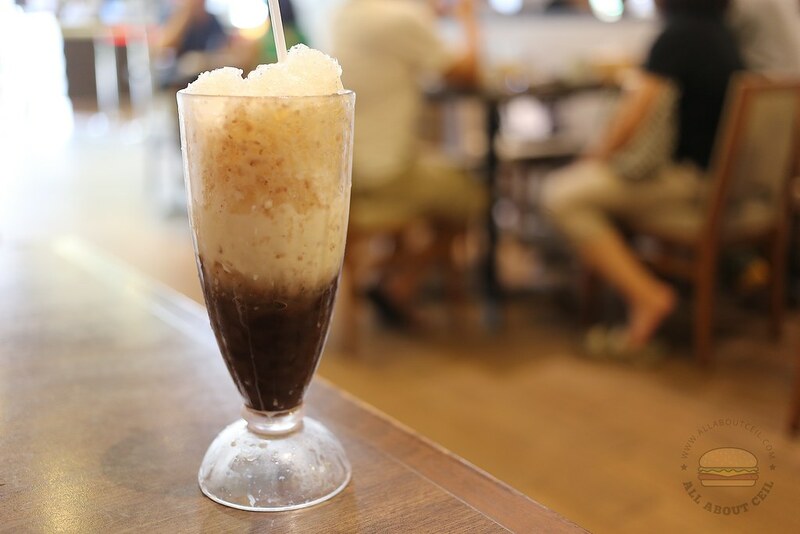 The texture of red bean was soft and mushy, it mixed well with the evaporated milk and the shaved ice. My dining companion took a bite of the French Toast and said, "It tasted very normal just like those french toast that easily made at home." 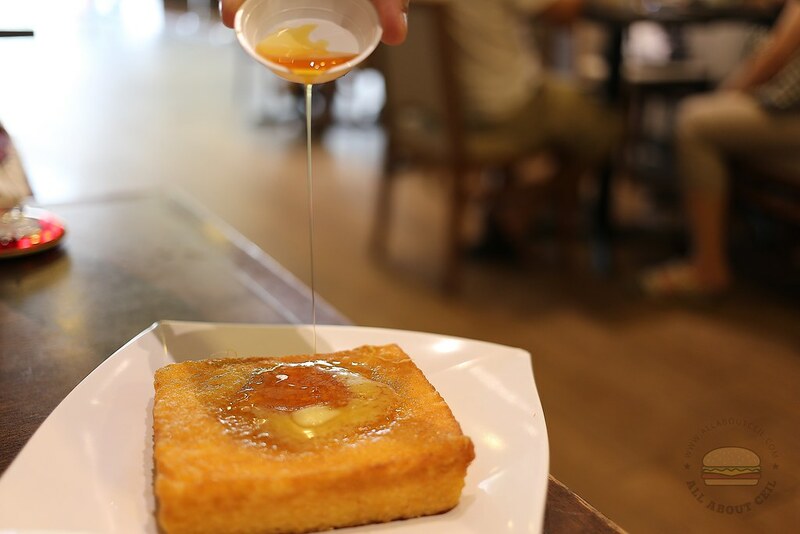 The toast was dipped in eggs then deep-fried till golden brown, served with a slice of butter and golden syrup in a saucer. When we were there, many customers were in the bakery section. My dining companion pointed at the empty shelf and said, "I saw a few trays of Polo buns earlier but it is gone now." I have tried their Polo bun with char siew and the Curry Chicken Doughnut before but the taste was not quite memorable. 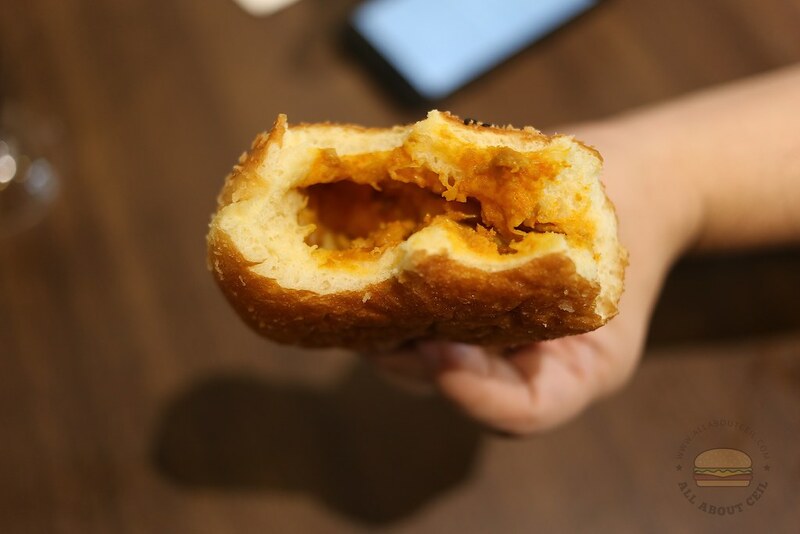 I decided to just order the Curry Chicken Doughnut ($1.80) this time after reading the review on Straits Times recently. The outer layer of bread was slightly crispy and not too oily, the filling was gathered at just one end of the bread, leaving the other with just thick layer of bread. I started biting at that particular end and it took me a few mouthfuls before I got to taste the filling. I did not actually find it to be particularly good, this is especially so after tasting those in Japan. 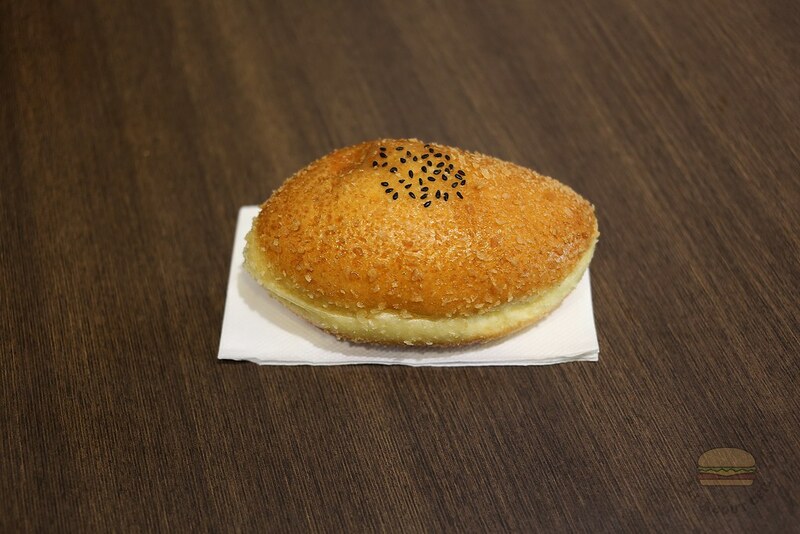 In Singapore, I would prefer the Curry Bun from Pullman Bakery at 100AM to this. 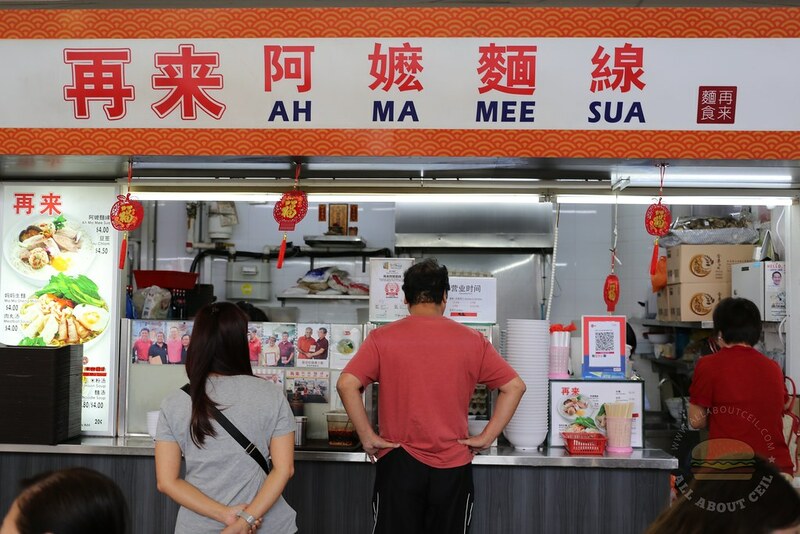 The stall is started by Mr Ong Chye Lye and he has another noodle stall at Bukit Panjang Hawker Centre serving Lor Mee and Prawn Mee since 2016. 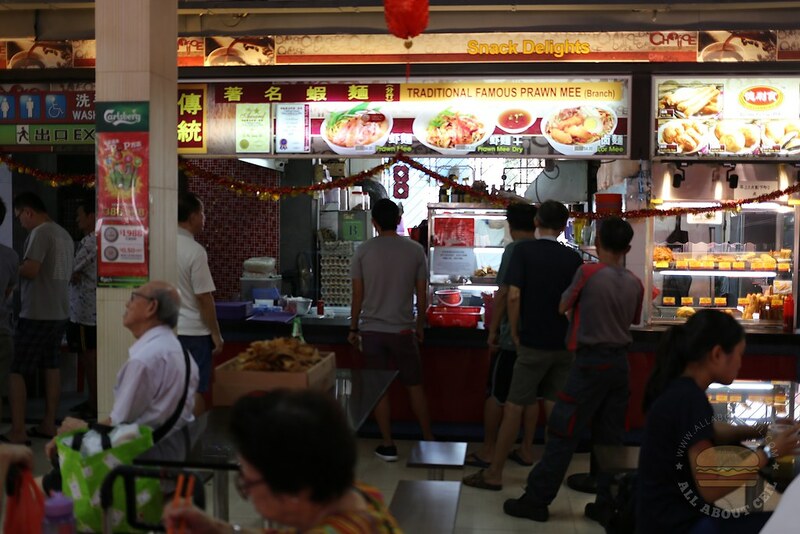 This stall is likely to have the longest queue in this food centre. There was a queue as early as 11 am and I joined it. I waited for about 10 minutes before ordering. I ordered the mee sua ($4) added $1 for extra ingredients. The auntie that took my order asked, "Do you also want to add mee sua for $0.50?" I did not want it. 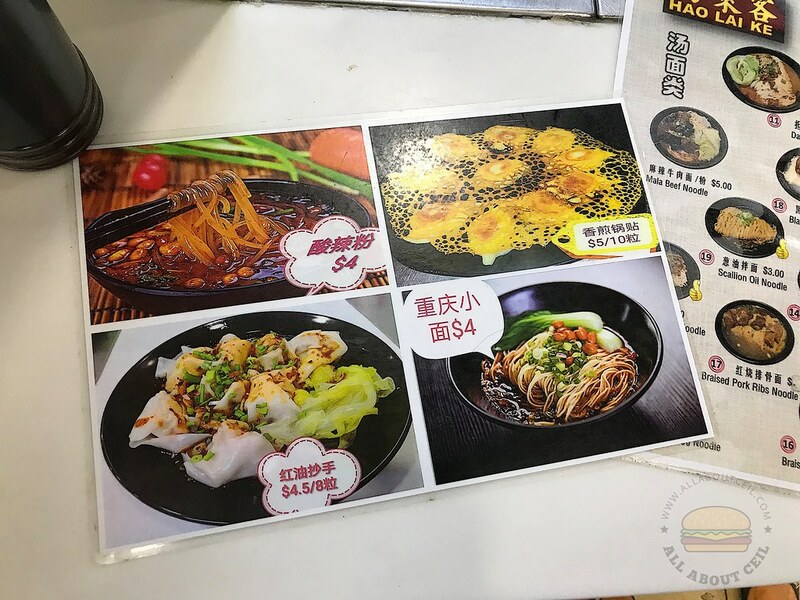 There are also Ma Ma Sheng Mian ($4.50) and Mee Tai Mu Soup ($2.80) on the menu. Each bowl is cooked upon order. 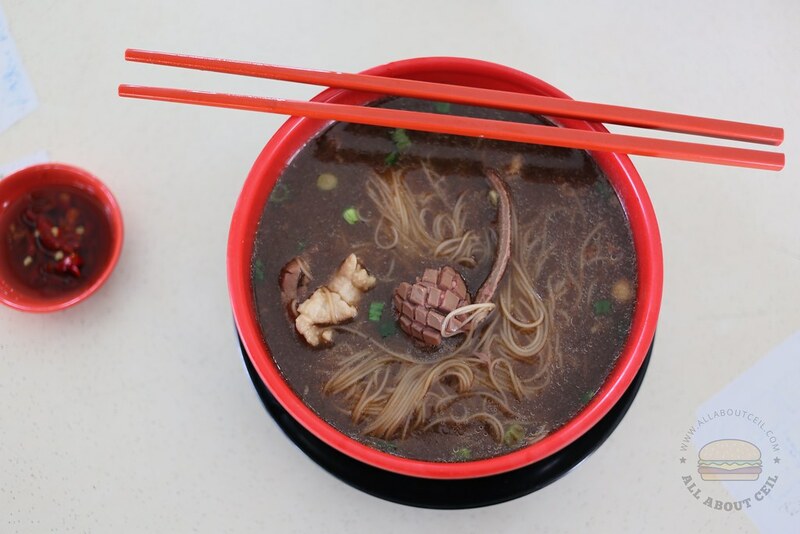 It was a bowl of hearty mee sua served with ingredients like meatballs, sliced pork, thick slices of liver, stewed mushrooms, prawns and a poached egg. It was topped with finely sliced then fried ginger, spring onion and coriander with a dash of Chinese wine to enhance its flavor and fragrance. Those large meatballs were quite tasty but the liver was a little powdery. 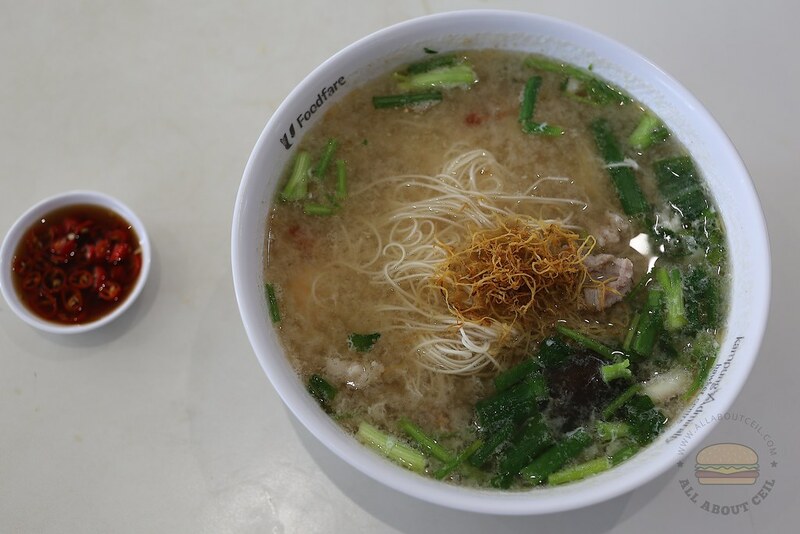 The texture of mee sua was just right and it did not turn soggy even after soaked in the soup for a while. It actually tasted like a confinement dish and I did not taste any MSG in it. 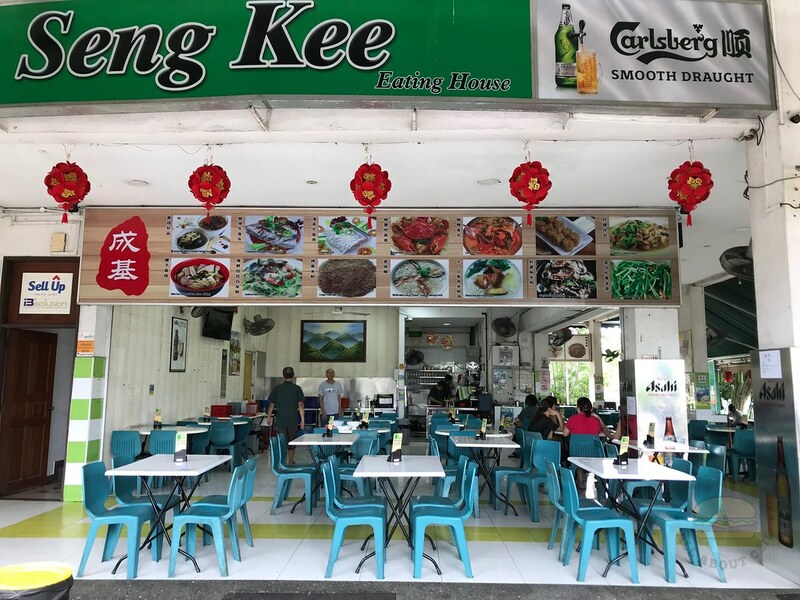 I have tried the Kidney Mee Sua at Seng Kee Black Chicken Herbal Soup which was also as good though are quite different in taste. 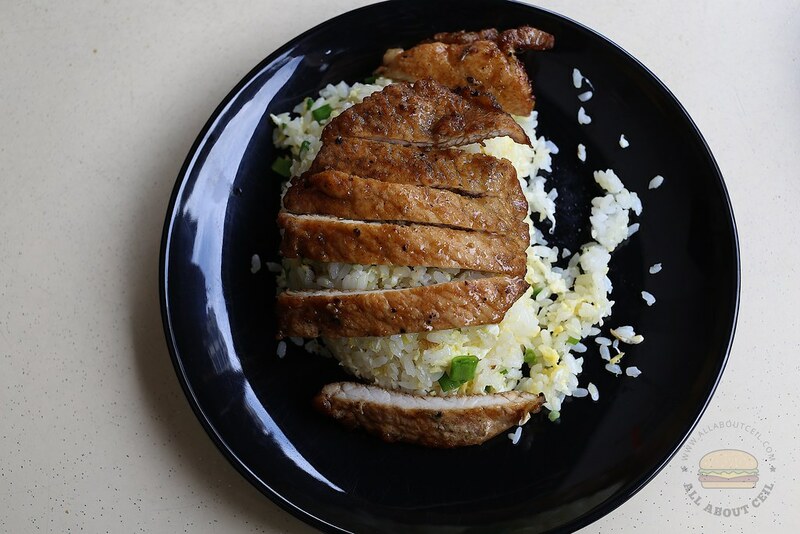 This is a homely dish that every Ah Ma (grandma) would be likely to cook at home, it is simple and satisfying as well as a healthier alternative for lunch and dinner. This stall is started by Jeremy, Ronald, and Rohaizzatd using a recipe from Jeremy's mother who is a Taiwanese. 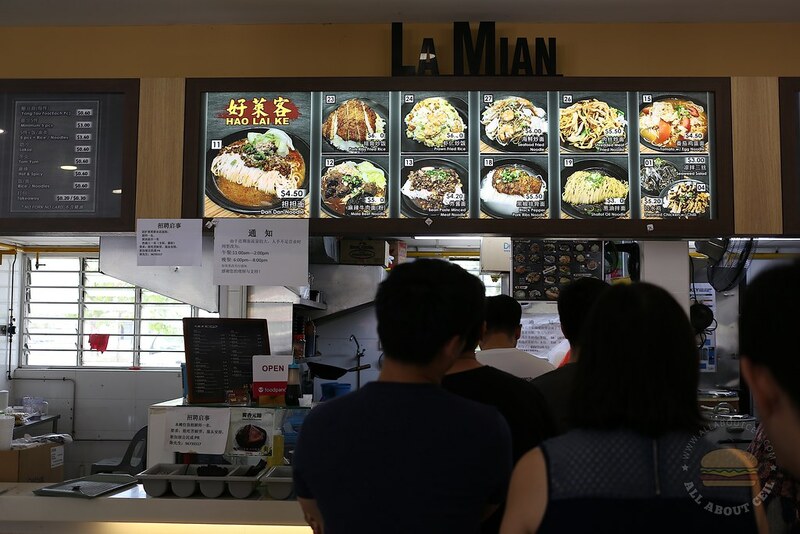 This is probably the only halal-certified Taiwanese food in Singapore. 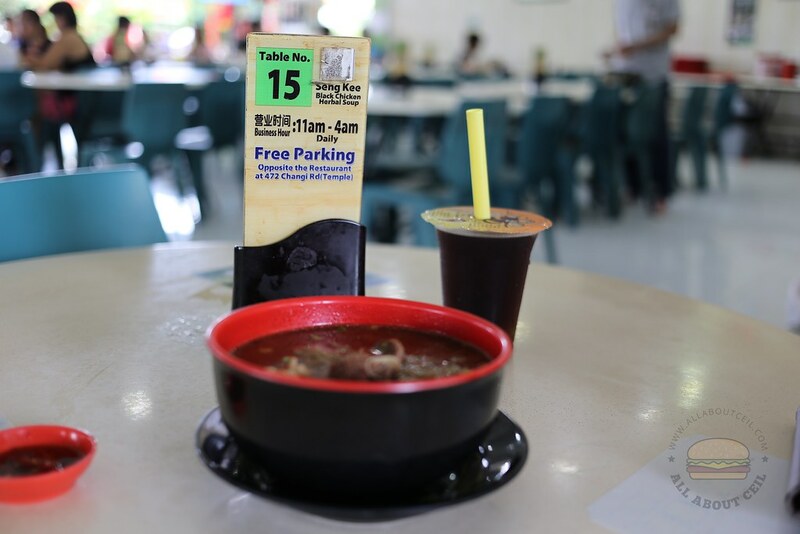 It is located at Grains & Hops Food Court Bistro in the industrial area of Toa Payoh North. 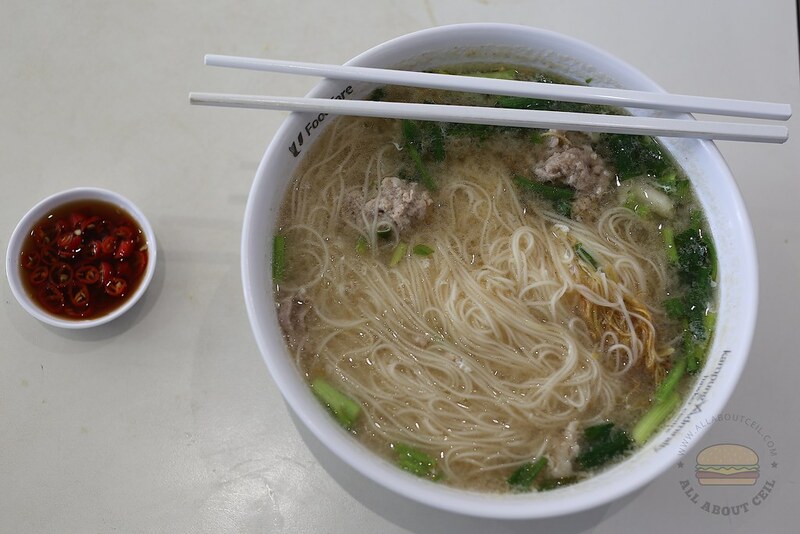 I ordered the Beef Noodle ($6.50/$8.00) and I was asked to choose between the 2 different types of handmade noodles, the thinner type and the broader type like those noodles at the ban mian stalls. I also ordered Chicken Cutlet Rice Set ($7.00) and Chicken Bits ($3.00). I was asked to choose between Black Pepper, Seaweed and Plum which I opted for Seaweed. 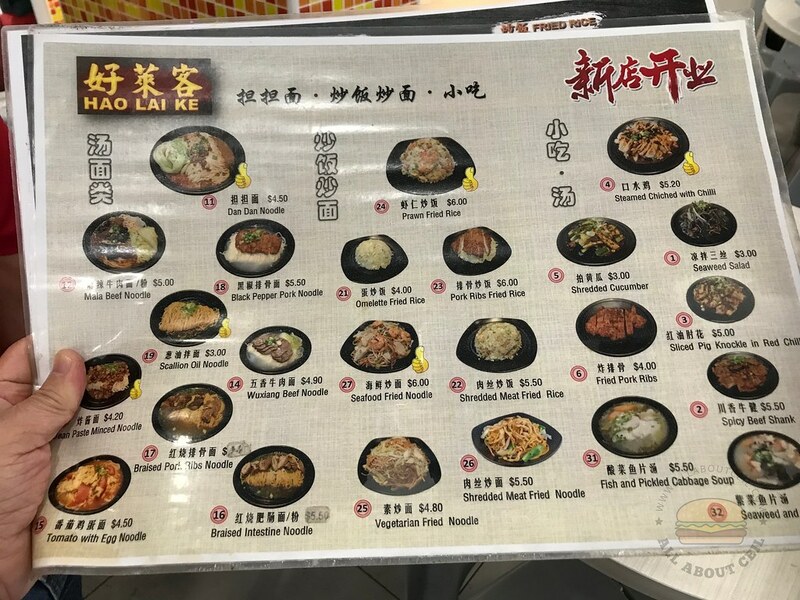 I am not adventurous enough to try their Braised Chicken Lu Rou Fan, which is different from the traditional Lu Rou Fan that is using the pork belly. I was not informed that I will have to look out for the number on LED panel and match it against the number on the receipt for collection. I actually waited at the counter for a bit before realizing it. 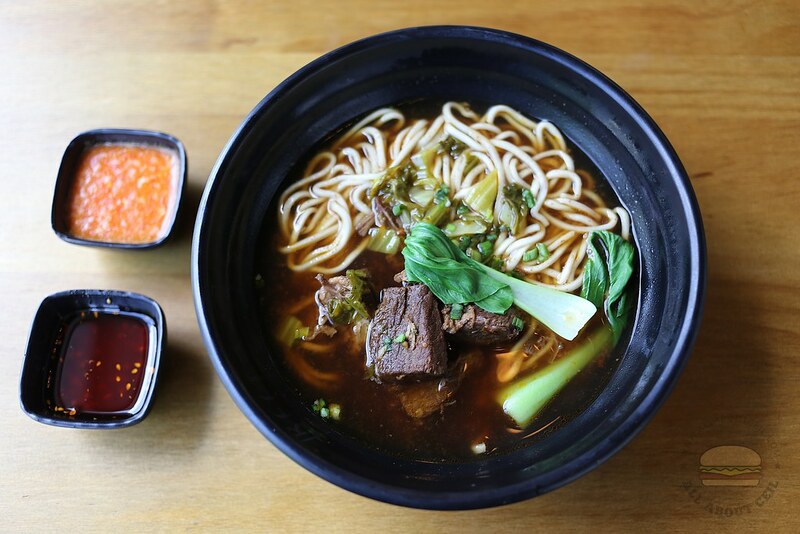 I waited for close to 25 minutes before the Beef Noodle was ready. 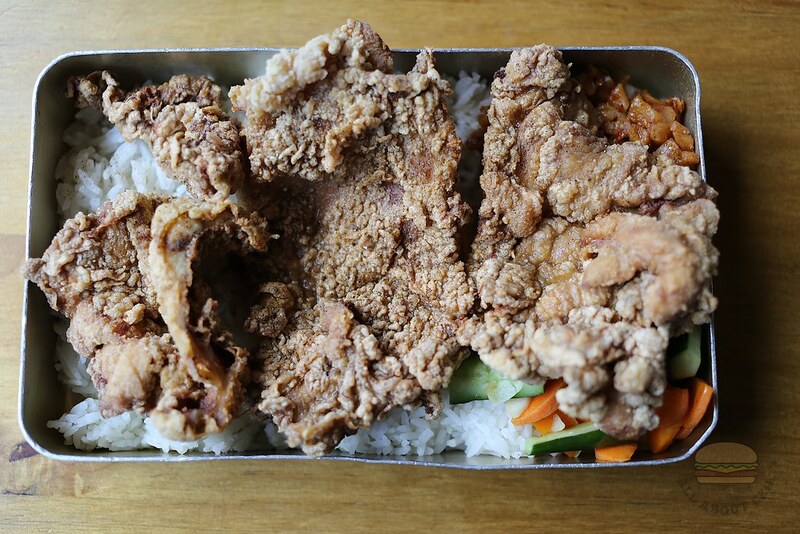 I was told to come back later for the Chicken Cutlet Bento and the Chicken Bits. I waited for another 10 minutes or so and it is still not ready. I chatted with another customer that has also waited quite long for her order. There was only 2 of them manning the stall, one was doing the cooking and the other was attending to the customers. Those beef chunks were a bit too lean thus it did not taste as soft as I liked it. 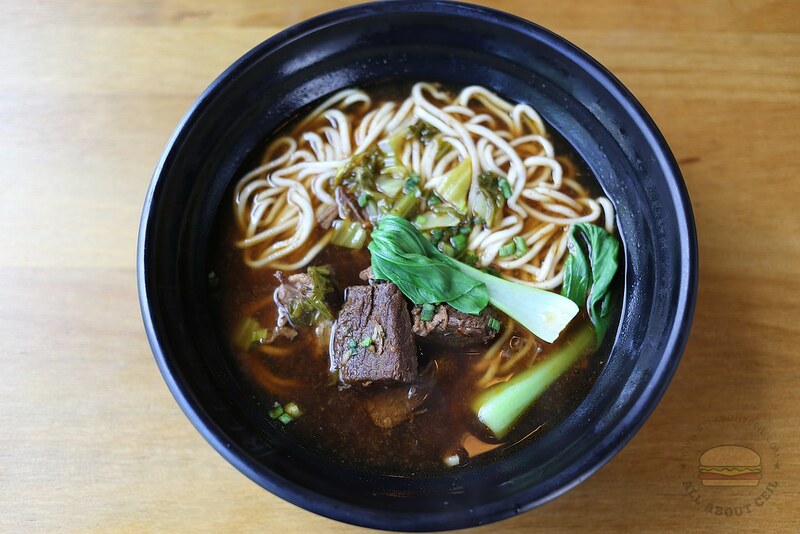 My dining companion used to work in Taiwan and he felt that the Beef Noodle has a certain resemblance to what he used to eat there. He said, "It is quite nice. It would be even nicer if the beef is slightly fattier." The Chicken Cutlet Rice Set was quite disappointing. The chicken cutlet tasted quite bland. My dining companion, said, "I would expect them to sprinkle some chilli powder like how it usually served the chicken cutlet in Taiwan." He also said, "They are using the normal rice and not the more expensive pearl rice." It was served with pieces of carrot and cucumber together with preserved radish that did not have much taste. The Chicken Bits have already turned cold when it was served. It tasted equally bland as I could not taste the seaweed seasoning that it was supposed to have. I do not think I liked it enough to come back again soon. 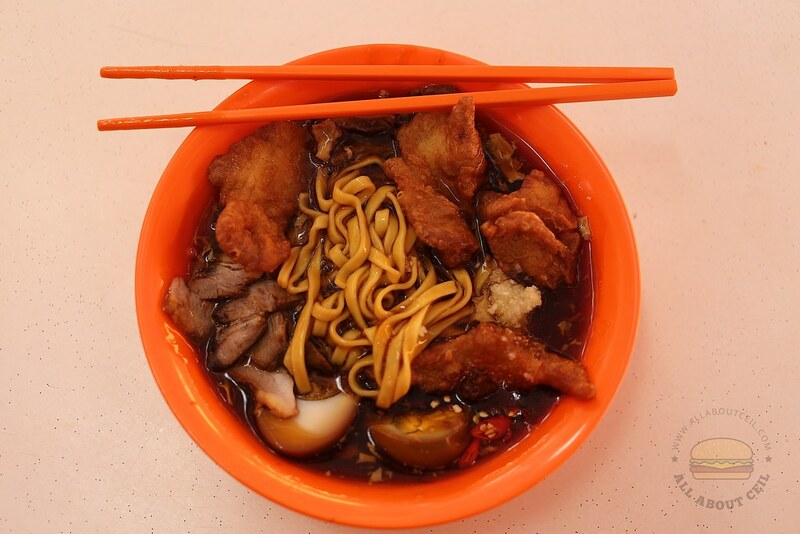 I used to eat this with my late Grandpa at one of these usual makan places near Teck Ghee Court Market & Food Centre. I could not quite believe how time has flown and he has been gone for 7 years. Grandpa always ordered their Prawn Mee as he did not like the Lor Mee. This is one of the few places that are still around. I have not been eating here regularly ever since the passing of my dearest Grandpa. I could not even remember when was the last time. There was just another person in front of me when I was there for lunch, the queue was much longer when it reached 12 pm. 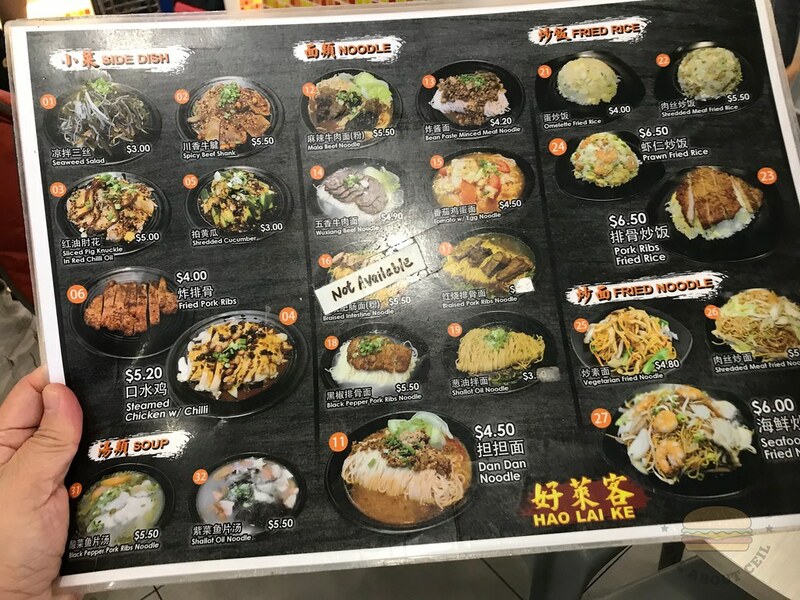 It used to have 2 sizes to choose but there is only left with a single selection at $4 and I added $1 for extra ingredients like the braised egg, braised meat, and fried fish nuggets. When it was placed on my tray, the nice chap that took my order pointed at one of the bottles of dark sauce, said, "This is the vinegar." I was wearing a headphone then and he still made an effort to inform me. The braised sauce though flavorful but was a little runny, it was enhanced by adding the vinegar, minced garlic, chilli paste, and red cut chilli. The flat yellow noodles were nicely cooked to the right texture. This might not be the best Lor Mee but the familiar taste is so alluring. I was missing my Grandpa terribly when eating this alone and there is still a lingering emptiness since his passing. 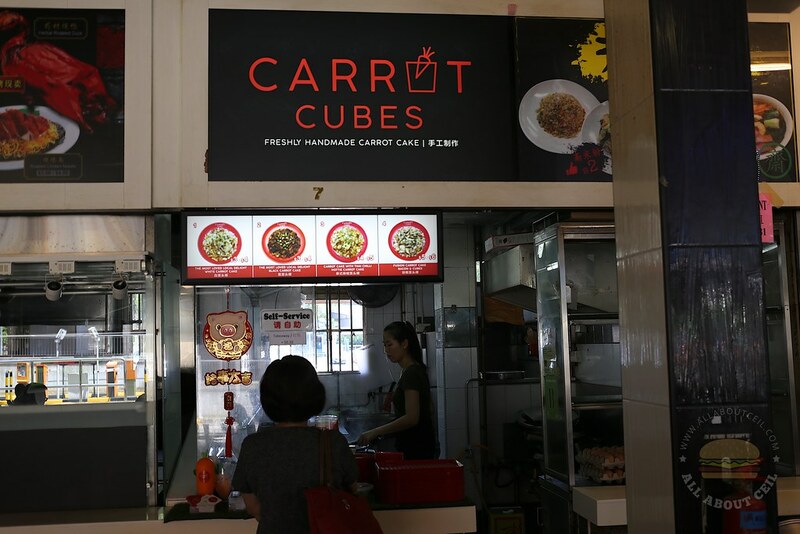 Claire Huang, the owner of this recently opened stall in a coffee shop at Ang Mo Kio, serving 4 different types of carrot cake. There are the choices of traditional White Carrot Cake ($3/$4), Black Carrot Cake ($3/$4), Hottie Carrot Cake ($4/$5), and Bacon & Cube carrot cake ($5/$6). The Hottie Carrot Cake is served with Thai chilli and the Bacon & Cube is the fusion version with the addition of bacon cubes. I am not adventurous enough to try either and so I stick with the regular black carrot cake. Claire took my order with a welcoming smile. There was just another customer in front of me even though it was the lunch hour. 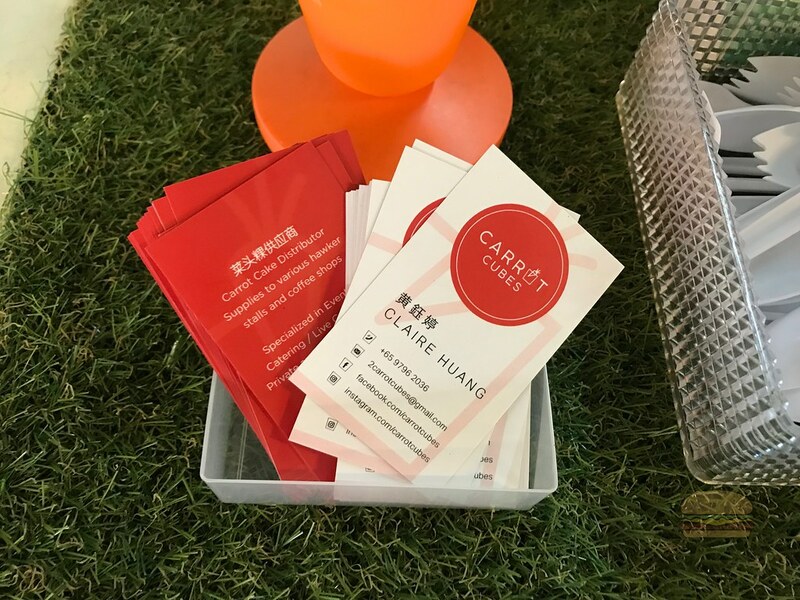 Claire's father is a supplier of handmade carrot cakes to the other stalls for more than 20 years. It is those big metal trays of carrot cake that you often see in some carrot cake stalls. I waited for just a while for it to be ready. When I handed it to me, Claire said, "Be careful, it is hot." I usually like to have my black carrot cake with coffee so I ordered one to go along. I was excited to taste it but the first bite was slightly disappointing. The homemade black sauce is a bit too sweet to my liking. I could taste the saltiness but it did not come from the preserved radish (chai poh) which I could not taste much of it. The texture of the carrot cake was soft though. 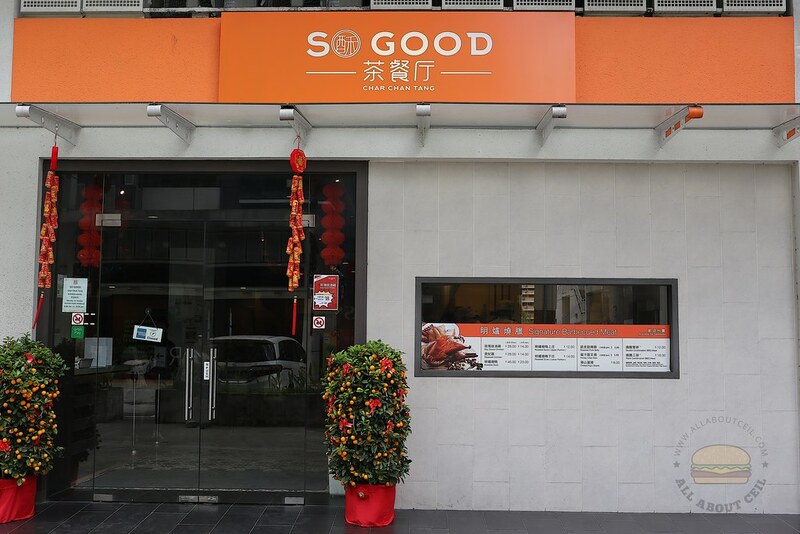 It did not turn out to be "very good" as mentioned by a prominent blogger. 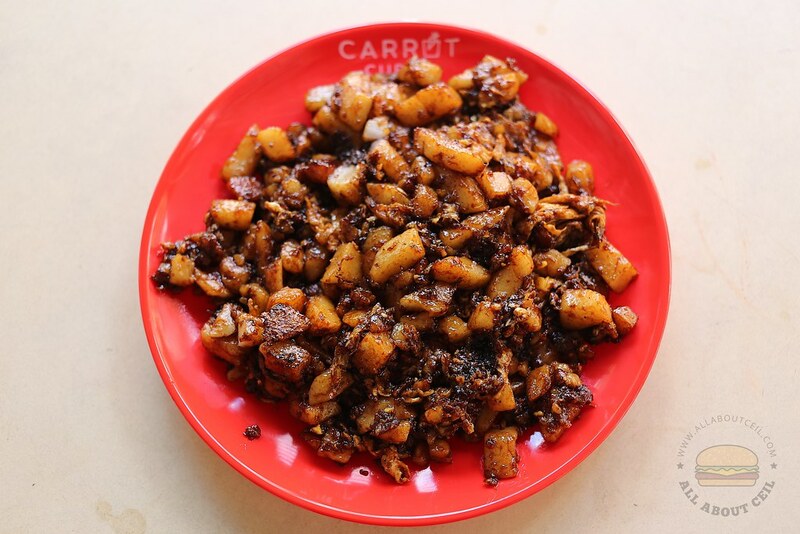 My Facebook friend tried the white carrot cake, he felt that the flavor and saltiness were fairly light and he would prefer those pieces of carrot cake covered in egg with more minced garlic and chai poh added. Claire is still new in the trade and to give it more time, she will make the improvement. 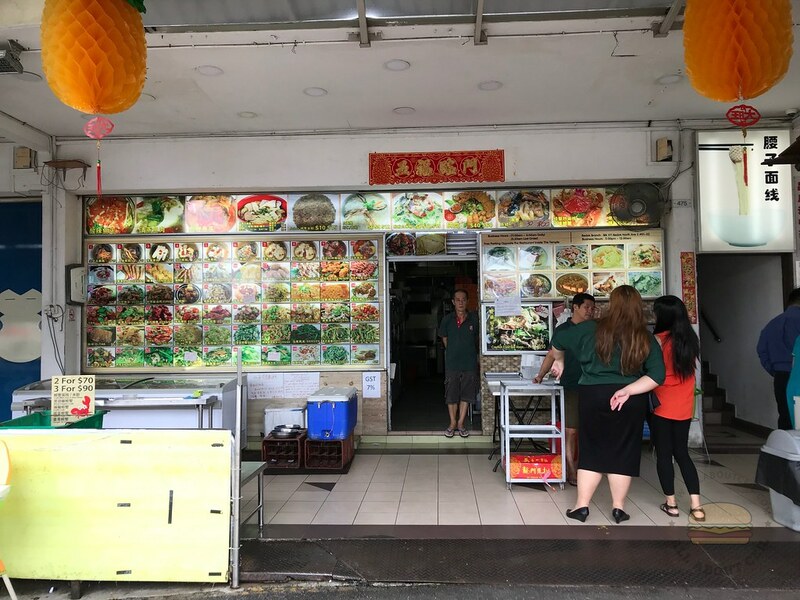 We should support the younger hawker and it is definitely encouraging to see a new generation hawker striving to do her best to preserve the hawker culture.